Apparently we have a lot to learn from our animal friends. They create a balance with their surroundings by taking only what they need to survive. Humans aren’t the only animals that recycle anymore. 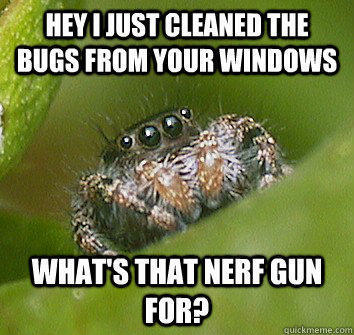 These little guys keep our homes bug free and they also recycle their webbing. By eating their web, they can regain the protein they used to create the structure. Sounds a lot like aggregate recycling. 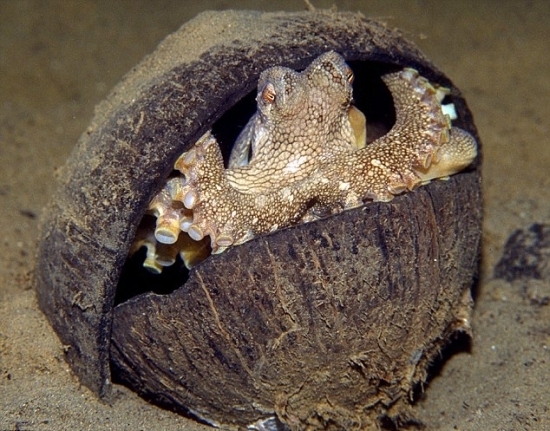 Hermit Crabs use whatever is in their environment, even legos. Dung beetles recycle feces all day, every day. They build their homes, lay eggs, and even eat the poop. These guys are one of the most valuable bugs on the planet. Last year they saved the cattle industry $380,000,000 by processing cattle manure. Although over three quarters of the world’s coral reefs are endangered, these resilient adaptable beings can stick themselves onto almost any hard surface. They basically use whatever is around, sunken battleships, underwater cables, pipelines, you name it. Did you know elephants help us recycle christmas trees every year? After the holidays, zoos give the trees to animals to snack on. These adorable animals are doing their part to save the environment, you should to. Check out our other popular posts on Twitter, Facebook, or Google+. Don’t forget, tweet us@WestsideEnviro. This entry was posted in Going Green, Recycle, Soil, Waste and tagged construction, contaminated soil, go green, going green, recycle, Recycled aggregate, recycling, Soil Remediation. Bookmark the permalink.